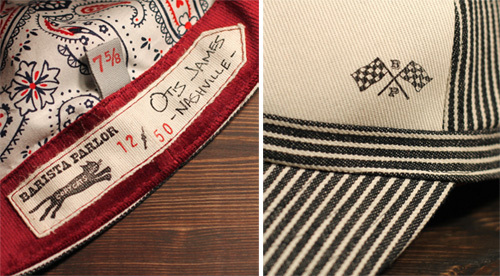 For spring 2014, Otis is offering his latest collection of fabrics for his trademark bow ties. These handcrafted gems come with hand printed labels and are each individually numbered. I bought my dad one of Otis' brawler caps last year and I have to say, it was probably my favorite gift I ever got him. He appreciated the handiwork (the way they used to make 'em) as well as the high quality look and feel of the fabric. Which is why I'm thinking of getting this slugger hat for him next. It's a throwback ball cap with a hand stamped racing flag logo and paisley handkerchief cotton lining. Only 50 were made so it makes for a special gift. 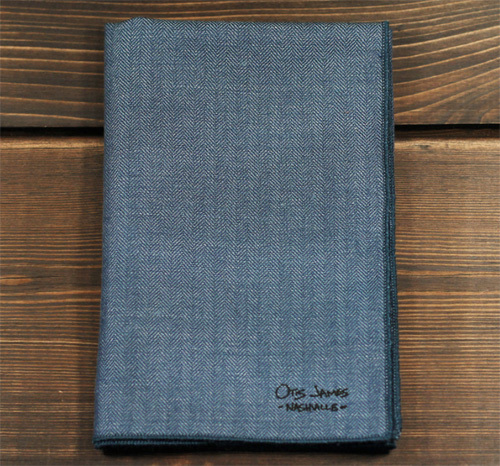 One of the most fun accessories to add to a guy's wardrobe is a pocket square. 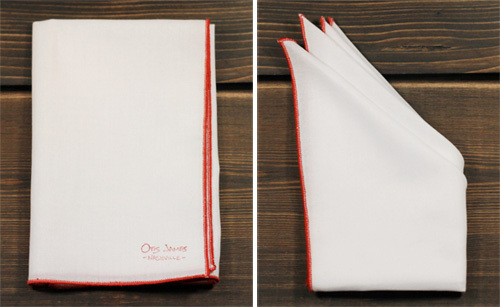 It's such an easy way to add a sophisticated flair, either inside a jacket pocket or as a backpocket hanky. I mean, there's always a need for a hanky, why not make it stylish? A good tie bar is hard to find. As men often wear them wrong, there are two simple rules to follow- Tie bars should be 3/4 of the width of your tie and be worn between the third and fourth button of your dress shirt. These vintage tie bars are the perfect size, plus pretty darn cool. I love their old school feel and that hatchet is just the coolest thing ever (sold out). 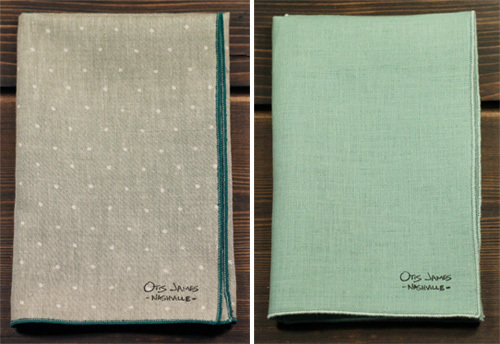 Yet, there are so many great ones to choose from as items and fabrics are constantly in flux at the Otis James shop. Check out all the goods, here.